Organic bamboo travel cutlery set. Sleeve made from certified organic. An organic travel cutlery set, perfect for taking on picnics, camping, or just running around town. The set is conveniently packaged in a smart organic cotton striped sleeve which is machine washable on a cold, gentle cycle. 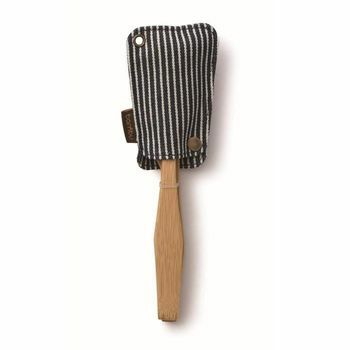 The cutlery can be washed in the dishwasher however, as with wooden products, we recommend hand washing to prolong life. The cotton used to make the striped pouch is certified organic by the IMO.